Located in Chicago's highly acclaimed Millennium Park, Park Grill is the city's ultimate room with a view. We are the choice for remarkable gatherings, in an atmosphere that is unlike anywhere else. With floor-to-ceiling windows, the restaurant serves your guests cityscape views of Millennium Park and the world-renowned Michigan Avenue that are breathtaking. The guest list is up to you. Atmosphere, great service, and spectacular dining is guaranteed. The Park Grill restaurant is available for semi-private events and buyouts. Semi-private sections are available from 15 to 120 and buyouts for up to 400 guests. The Founders' Room offers distinctive elegance and flexibility for private dining events. This intimate space has full audio-visual capabilities (PC/Mac connection, DVD player, HDTV) and sets a perfect backdrop for smaller executive dinners, presentations and special occasions. Chicago's largest outdoor venue is available May through October. The Plaza at Millennium Park creates an unparalleled atmosphere for your next event, from parties of 25 to 1000. Host your event in the heart of the city with breathtaking views. Tenting, equipment and a variety of menu options available. Located in our Plaza area are two venue tents. 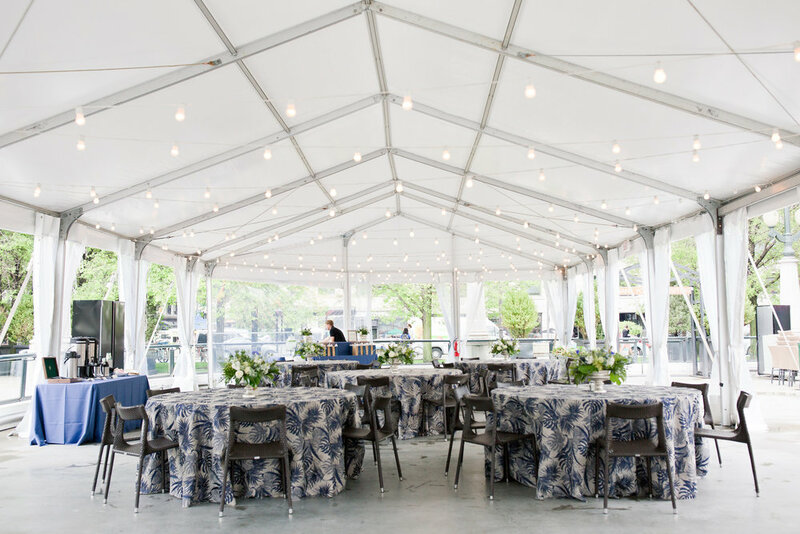 These tents can be utilized as "rain or shine" to enjoy an al fresco experience no matter the weather. Located next to the spectacular 110-ton Anish Kapoor "Cloud Gate" sculpture and directly above Park Grill, Millennium Park's Chase Promenade provides the venue for larger-scale private events at Millennium Park. Thank you! A member of our special events team will contact you shortly! Reservations are for Park Grill only. The Plaza is first come, first serve.